 Troy Cooper’s passion for real estate and business has established him as a top performing agent both at john greene Realtor locally and in the region (ranked in the top 5% of all agents in the Chicagoland area). He has earned this success through his dedication to hard work and meeting his clients’ goals, as well as his vast knowledge of the local market. Building relationships through excellent service is the cornerstone of Troy’s real estate business. On every transaction, he listens carefully to his clients’ needs, wants, questions, and concerns, and guides them through the home buying or selling process so his clients know exactly what to expect and are confident with their decisions each step of the way. Troy has a full life… with a wife, three small kids, a career, friends, snowboarding, mountain biking, kayaking, tennis, etc. He should be exhausted… but instead he is very full of life because he LOVES what he is doing. 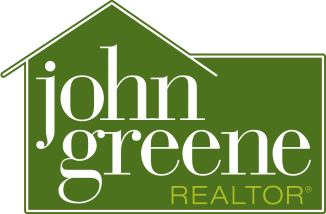 He fully embodies the john greene Realtor motto “Live & Love Local”. Troy is very laid back in character, yet very confident and capable. His transactional experience and solid understanding of the market contributes to his exceptional performance record with all types of residential transactions including single family homes, vacant land/lots, distressed properties and new construction. Plus, he is a very likable guy (fun, easy to talk to, approachable) and he makes people feel comfortable. When you combine these attributes, Troy is able to help families find homes that meet their wants/needs and is able to help them understand the market so they feel really good about their decision (to buy or sell). The fact that 90% of his business is repeat business or personal referral is unusual and a testament to the level of service that he provides his clients as well as the confidence that his clients have in their decisions that result from them working with Troy. In 2012 Homefinder.com recognized Troy as one of five agents nationwide who excel at using digital marketing in the real estate business. "Troy did a superb job with us. He took the time to show us various properties and learned from our responses what we were and weren't looking for. This was extremely helpful for us since we were first time home buyers and we ourself didn't know what we were looking for. Our initial search was wide open and we looked at homes in numerous western suburbs. After many trips we decided that Naperville made the most sense for us. We were mostly unfamiliar with all of the various neighborhoods in Naperville and Troy told us a little bit about each one, the style of homea there and when it was developed. I knew that his intentions and interests were limited to us finding a house that was right for us. After we made our offer and we learned that ours was not the only offer for this home he guided us through our options and suggested something that I wasn't even aware was an option. As a result of his suggestion we were successful in our bid for our home and we were able to save a not insubstantial amount of money on the purchase price. Troy did what was best for us, his client and helped us save money while still successfully getting the home that we wanted. We never felt pressured to make a decision throughout the entire process. I would recommend Troy wholeheartedly without any hesitation. We have been in our home for a few months now and love it more each and every day." 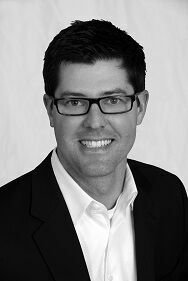 "Troy was an amazing agent - very thoughtful and helpful at every stage of the process. Troy was excellent in every measure. We took a long time and changed requirements along the way, and Troy patiently worked alongside us being helpful and supportive." "From day one, Troy Cooper could not have handled things any better. My buyers were a bit difficult, though Troy was professional and very patient throughout the process. Troy was professional and patient in every aspect of the sale. He was a delight to work with and I put my complete trust in him. I was out of town for part of the time my house was on the market. I was so fortunate to have Troy Cooper assist in the daily activities. I had received Troy Cooper's name from a very close friend. They have had several dealings with Troy and were completely satisfied. It was a wonderful recommendation and I will now be happy to pass his name along to anyone I know."